If you’re a beginner to the sport triathlon, you’ve likely caught the bug and you’re excited about training. Welcome. You have found a community of athletes that embraces new folks and has an incredible way of helping people rise in the ranks and achieve everything that they wanted — and sometimes even more than they ever anticipated. The journey is a long one and there will absolutely be challenges on the way. But know that the only thing that can stop you from realizing your tri-potential is you…stopping yourself. Which brings us to the second point: train like a beginner but don’t think like one. Start small. Don’t bite off more than you can chew. Take incremental steps, keep the volume low at first, make it fun, and pick cool events. Don’t over-reach and sign up for an Ironman® in your first year. Keep it social and have fun with the sport. Grow with the sport as your physical abilities develop. But whatever you do, don’t THINK like a beginner. You don’t need to handicap your own development by putting yourself in a special wave. Other triathletes certainly won’t treat you as second class, and your new experiences and fresh perspective will do a lot to improve the game of everyone around you. You aren’t a liability; you are an asset. You don’t need to be coddled right now; you need to be challenged. You can think like a veteran out of the gate. You can strive to have the best transition in the world. You can have a pro bike fit, or at least a really solid bike. You can build a great training schedule. You can start riding with a local group of roadies and develop an “A” cycling game. You can bring incredible focus to nutrition and recovery. You can train with intensity, or power, and start getting stronger and faster today. Most importantly, you can skip several years down the path to realizing your tri-potential by avoiding all the mistakes your fellow triathletes have made. There are no rewards for following previously blazed paths. No merit badges for making the same mistakes. 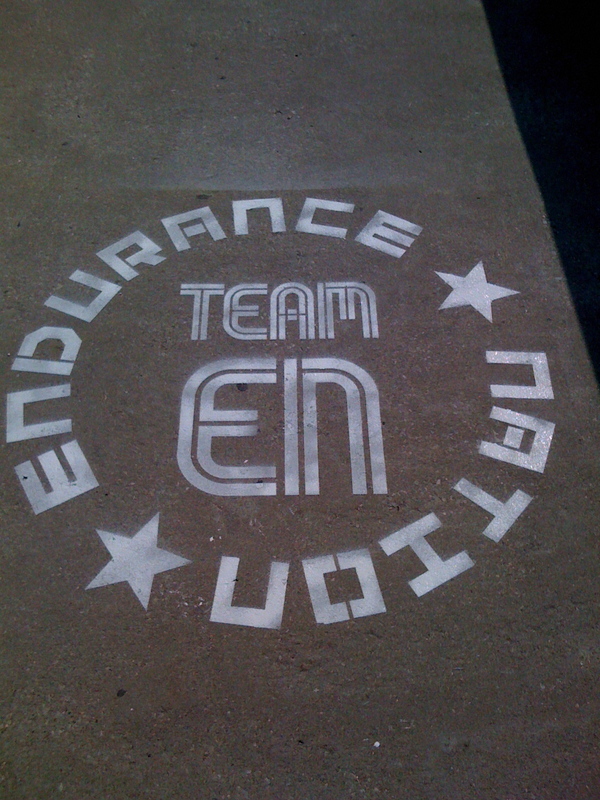 This is perhaps the most powerful element of Endurance Nation; the ability to share with — and learn from — your triathlon peers. But it’s not something we own or have copywritten; there are awesome triathletes willing to connect with your right in your own neighborhood…you just have to find and engage them. There are so many different components that make the sport of triathlon highly personal. There’s how to train and what to race; there’s what you wear and what you eat. There’s what you are good at and what you need to practice. You will rise to each challenge along the way, in your own personal way, as part of your journey. In other words, we’ll all cross that finish line at the end of the day, it’s more a function of how you get there than whether you’ll make it or not. The more you think and behave like a smart veteran triathlete, the sooner you’ll actually become one.